Marybeth Roe Tinning was convicted of second-degree murder and was sentenced to 20 years to life for killing one of her children by smothering the child to death. Marybeth was born on September 11, 1942, in Duanesburg, Schenectady County, New York. She said in 1986 to police officers that her father, Alton Roe who was a press operator in General Electric had once abused her when she was little by beating her and locking her in a closet. She later denied in court testimonies that her father abused her and said "My father hit me with a flyswatter," she told the court, "because he had arthritis and his hands were not of much use. And when he locked me in my room I guess he thought I deserved it." Marybeth worked in several low-paying jobs that did not require skills but eventually managed to become a nurse"s aide at Ellis Hospital in Schenectady. She met Joe Tinning on a blind date in 1963 with some friends, and they were married in 1965. October 1971: Tinning"s father died from a sudden heart attack. January 3, 1972: Jennifer was only eight days old when she died from hemorrhagic meningitis and several brain abscesses from birth. January 20, 1972: Two-year-old son, Joseph Jr. died from cardiopulmonary arrest at Ellis Hospital emergency room in Schenectady. February/March 1972 - Barbara went into convulsions a few weeks after Joseph Jr. died and she died the day after her convulsions while she was in a comatose state for several hours. Marybeth was 29-years-old when Barbara died. November 22, 1973: 4th child Timothy was born on December 10, 1973: Timothy arrived at the hospital dead - Marybeth told doctors that found Timothy lifeless in his crib and his death was attributed to sudden infant death syndrome. March 1975: 5th child Nathan was born and in autumn of that same year in the car while he was out with Marybeth. August 1978: 6th child Michael was adopted by the Tinnings not long after he was born. October 29, 1978: 7th child Mary Frances was born. January 1979: Marybeth took Mary Frances to the emergency room located across the street from her apartment because Mary Frances had a seizure - she was revived from SIDS. February 1979: Mary Frances was in full cardiac arrest when she arrived at the hospital and was revived, but had permanent brain damage. Mary Frances died two days after she was taken off life support. March 1980: Jonathan died after he was on life support for four weeks in Albany, NY. February 1981: Michael was taken to the hospital after he fell down the stairs. March 1981: Marybeth took Michael to the doctor because he would not wake up, he died. August 1985: 9th child Tami Lynne was born. December 20: Tami Lynne died from being smothered. December 20: Betsy Mannix of Schenectady County"s Department of Social Services and Bob Imfeld of the Schenectady Police Department visited the family regarding the death of Tami Lynne. Marybeth and Joe Tinning was questioned separately at the Schenectady Police Department regarding Tami Lynne death. Marybeth confessed to murdering Tami Lynne and signed a document confessing to the killings of Tami Lynne, Timothy, and Nathan during the police interrogation. She was arrested and charged only with the murder of Tami Lynne. Laboratory analysis showed that Tami Lynne died from being smothered which made authorities suspicious over the other Tinning"s children deaths. Marybeth was released from jail after her bail of $100,000 was paid and had to return for her trial date. Marybeth was found guilty by the jury after a six-week trial for a second degree and depraved indifference to human life. She was sentenced to 20 years to life in prison at Bedford Hills Correctional Facility for Women. Marybeth attempted to get parole in March 2007, but it was denied after she said, "I have, to be honest, and the only thing that I can tell you is that I know that my daughter is dead. I live with it every day. I have no recollection, and I can"t believe that I harmed her. I can"t say any more than that." Marybeth attempted to get parole again in 2009 and stated "I was going through bad times," regarding when she killed her daughter but she was denied by the parole board who said Marybeth"s remorse was "superficial at best." She was denied parole in January 2011, 2013 and 2015. 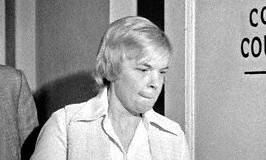 Marybeth Tinning serial killer is a male serial killer.